Every year, more online or technology-enhanced learning experiences are added to the landscape of education, and the number of students taking online courses on residential campuses continues to grow. In addition, new instructional tools are creating environments that are mobile, interactive, and collaborative. These trends present challenges to the online classroom, and this book will help instructors meet those challenges. Jump-Start Your Online Classroom prepares a first-time online instructor to successfully manage the first few weeks of a course, including activities to help instructors plan, manage, and facilitate online instruction; and resources helpful during the beginning weeks of class. 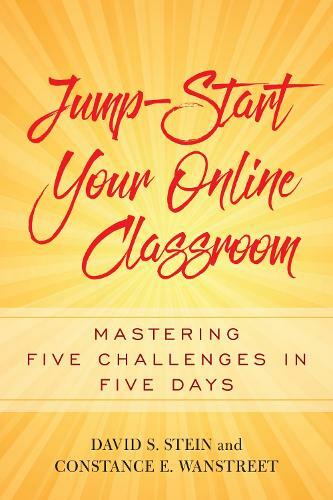 Each chapter is developed around the immediate challenges instructors face when teaching online. The authors address everyday problems and suggest solutions informed by their extensive research and experience. The five challenges, which are designed to be addressed in five days, are to:Make the transition to online teachingBuild online spaces for learningPrepare students for online learningManage and facilitating the online classroomAssess learner outcomes in an online classroomThe book is based on the authorsaEURO ™ design and facilitation model that identifies five elements comprising an online learning environment: digital tools, participants, social practices, learning community, and outcomes. The book shows how each of those aspects influences instructional practices and interacts to create an environment for a meaningful online educational experience.